Water lily pond plants are commonly found in the slow moving waters of drainage ditches, ponds, lakes and canals in water anywhere from 0 to 30 feet deep. Its early origins were recorded to be the Nile River, possibly around Lake Victoria. Water lily pond plants are commonly found in the slow moving waters of drainage ditches, ponds, lakes and canals in water anywhere from 0 to 30 feet deep. Its early origins were recorded to be the Nile River, possibly around Lake Victoria. Today, it is found throughout the tropics and the American Southwest and is quantified as a weed with no wildlife or human food uses for water lettuce recorded. 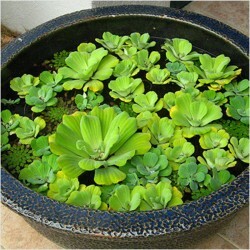 It can, however, make an attractive water feature planting where its rapid growth may be corralled. So what is water lettuce? What is Water Lettuce? 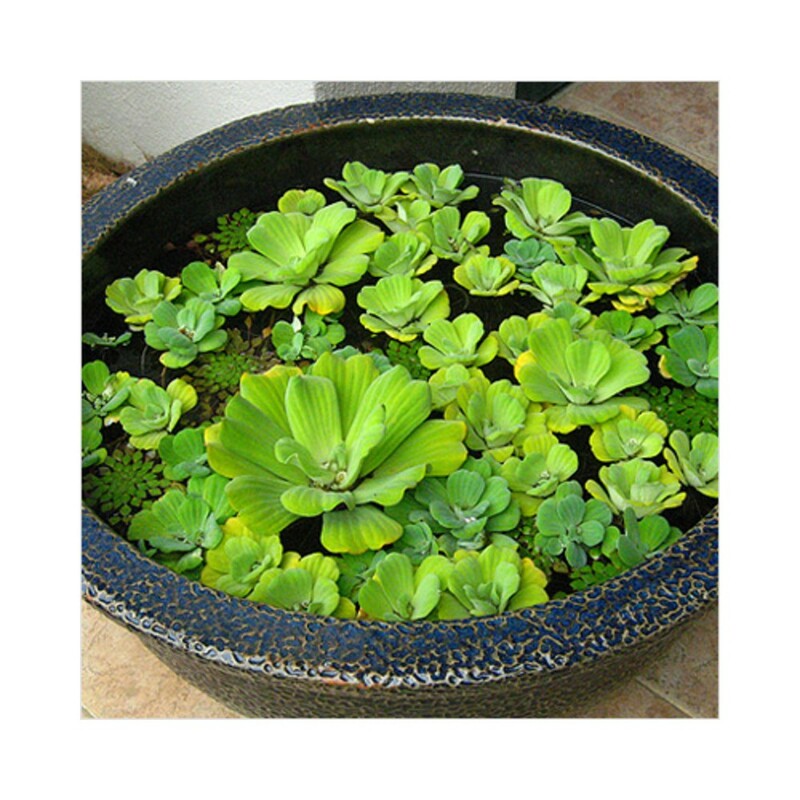 Water lettuce, or Pistia stratiotes, is in the family Araceae and is a perennial evergreen that forms large floating colonies that can be invasive if left unchecked. The spongy foliage is light green to gray-green colored and is 1 to 6 inches long. The floating root structure of water lettuce can grow up to 20 inches in length while the plant itself covers a 3 by 12 foot area typically. This moderate grower has leaves that form velvety rosettes, which resemble small heads of lettuce — hence its name. An evergreen, the long dangling roots serve as a safe haven for fish but, otherwise, water lettuce has not wildlife uses. The yellow flowers are rather innocuous, hidden in the foliage and blooming from late summer to early winter.